Arena Riga is one of the biggest music, sport and entertainment event places in Baltic states, which gathers thousands of different visitors from Latvia and neighbour states. By choosing to place your advertisement in Arena Riga, you will reach a wide spectrum of audience in real environment, where people spend time in a positive, open mood with whole family! 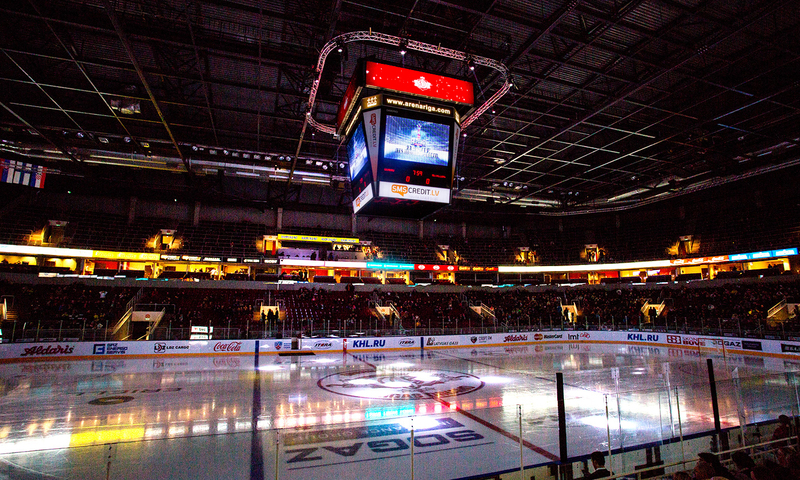 There are different advertisement options in Arena Riga – starting from digital or static advertisement, up to integrated solutions in Arena Riga premises, which in the vent time are visible to audience of several thousand people. Digital advertisements can be placed on a modern LED banner, which will be visible not only in the visitors of event, but also by thousands of people by their TV screens. Whereas placing of a longer advertisement clip, we suggest putting it on Arena Riga TV broadcasting network, where brand clips are shown every 3-5 minutes. For static advertisement we can offer different format banners in the premises of Arena Riga, but for the need of integrated advertisement, we offer to place continual advertisement stands, where company’s promo employees can introduce visitors of Arena with the topical information and involve in brand activities.